With scientific advancements we can expect something new everyday. The latest trend in the medical world is nuclear medicine. It is the latest medical speciality using radioisotopes for any diagnosis and treatment. Many feel it is an extension of radiology. Radioisotopes are iodine and fluorine that are simple substances and after undergoing some physiochemical modifications they can be used for medicinal purposes. It has been extensively used since 1950 to treat common and rare medical conditions successfully. Although it is advanced it is quite expensive. Earlier there were limited applications but with new discoveries and advancements, it is slowly gaining prominence in both regular investigations and managing various rare diseases. The advantages of nuclear medicine are immense. It uses a target based approach for investigative and therapeutic applications. There are hardly any side effects or complications for these procedures. This enables healthcare providers to deliver consistent care. Even patients comply with doctors and don’t step back for all the required follow up and research studies. So, we can conclude by saying that nuclear medicine is essential as it is cost-effective and accurate. Sometimes this department is not available as a result patients are either undertreated or over treated due to lack of information. It is quite effective in treating cardiac and cancer conditions. It is easier to diagnose the stage of cancer accurately and this can avoid unnecessary surgeries. It can be diagnosed at a very early stage and the response of the therapy can be effectively monitored. Therapy based on nuclear medicine can effectively cure many common thyroid problems. 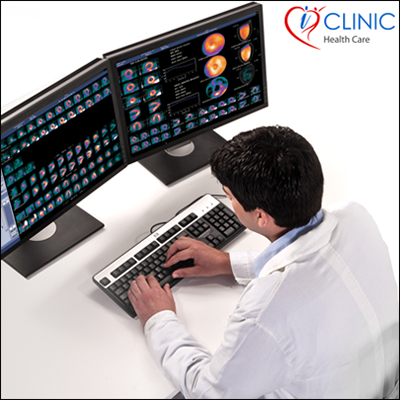 The scope of nuclear medicine is wide and patients can seek reliable information online at iClinic Healthcare. Moreover, patients can connect with any doctor online through our various cost-effective services to seek adequate guidance. The services that patients can conveniently use from iClinic Healthcare is 24/7 online doctor, written medical advice, ask a doctor and video call with specialist. Uploading medical records is easy and can be stored for future consultations too. There is the online symptom checker that helps to self diagnose any medical condition by body part. Patients get the benefit of 24/7 services from renowned doctors. With facilities like detailed online prescriptions, health check-up summary and reasonably priced consultations, patients can overcome any medical grievance easily.